Jawa Motorcycles announced their return to the Indian motorcycle market in November last year by unveiling a total of three new models – the Jawa, Jawa 42 and the Jawa Perak bobber. The bookings for the Jawa and Jawa 42 commenced online on the same day of their launch. The Perak, on the other hand, will be launched towards the end of 2019. 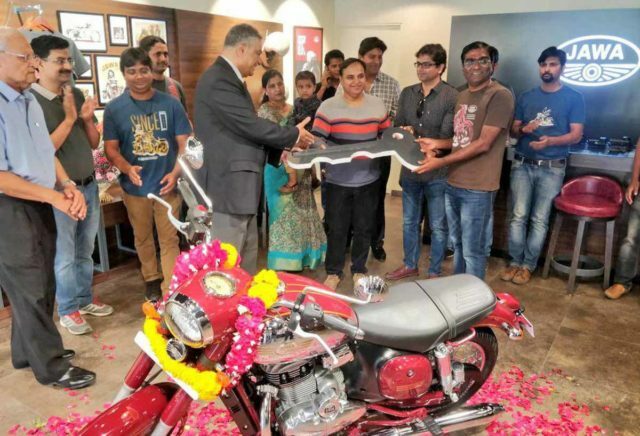 Mr. Anupam Thareja, co-founder classic legends, tweeted towards the second week of March that the deliveries of the Jawa motorcycles would commence from the last week of March 2019 onwards. In that particular tweet, it was also mentioned that Jawa is on track to inaugurate a total of 100 dealerships across the country. Today, Jawa officials confirmed via a tweet that the first bike delivered to Mr. Virender Singh in Mumbai by Ex-Defence Personnel Col. LK Anand (Retd). On the other hand, the customers who will get their motorcycle deliveries in April will be informed on 31st March. 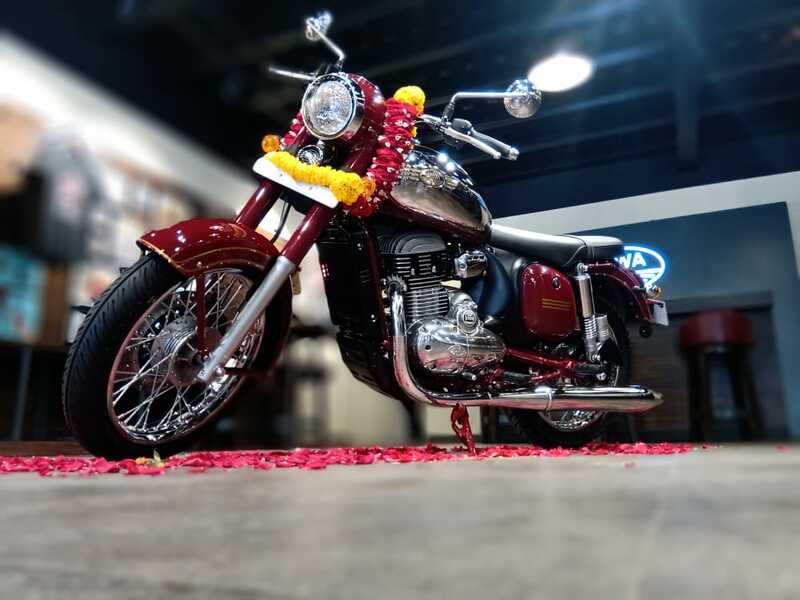 Both the Jawa and Jawa 42 received tremendous response from the people and they were sold out till September 2019. Coming to the motorcycles, both the Jawa and Jawa 42 are powered by the same 293cc, liquid-cooled engine that produces about 27PS of peak power and 28Nm of peak torque. The engine is paired with a 6-speed gearbox. Both the motorcycles also get a single channel ABS as standard for the safety of the rider. The Perak which will be launched later this year will be powered by a slightly bigger 334cc, single cylinder motor which produces about 30.4 PS of peak power and 31Nm of peak torque. The engine is also paired with a 6-speed gearbox. The Jawa and Jawa 42 are priced at Rs 1.64 lakh and Rs 1.55 lakh, respectively (both prices are ex-showroom Delhi). The Perak, on the other hand, is expected to be priced under Rs 2 lakh (ex-showroom). The Jawa and Jawa 42 rival directly against the likes of the Royal Enfield Classic and Thunderbird 350. 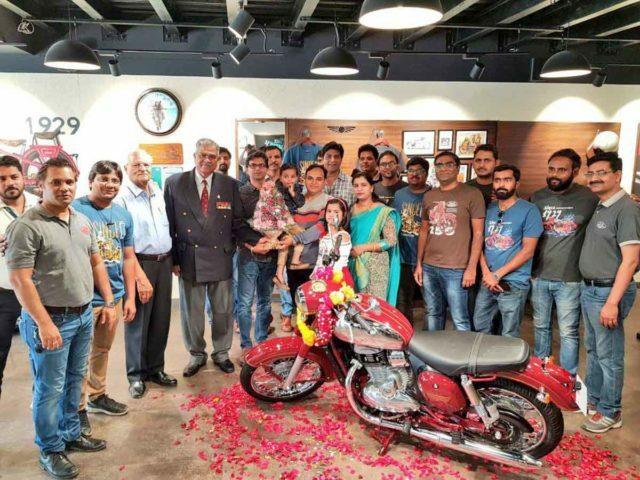 Jawa has auctioned thirteen motorcycles for a fundraiser towards educating the children of martyrs of Indian armed forces. The buyers involved in the bidding had the option of choosing any chassis number between 001 and 100 for the classic and 42. The owners would receive their motorcycles with a monogram of their name and tricolour badging and be entitled to receive exclusive benefits from Jawa as a total of Rs. 1.43 crore was raised in the event held in Mumbai.